Mask: Optional. If provided, the Source is scaled by the values of this input clip before the areas that get streaked are determined. This can be used to selectively remove or reduce the streaks applied to specific areas of the Source. To Z Dist: Default: 0.75, Range: 0.001 or greater. Streaks Brightness: Default: 1, Range: 0 or greater. Mix Source Darks: Default: 1, Range: 0 to 1. Mix Source Brights: Default: 0, Range: 0 to 1. 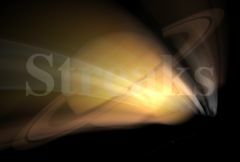 Determines how the streaks are combined with the source image. Add: causes the streaks to be added to the source image. If this value is positive the output Alpha channel will include some opacity from the streaks. The maximum of the red, green, and blue streak brightness is scaled by this value and combined with the Background Alpha at each pixel. Alpha: uses the alpha channel of the Mask input to scale the brightness of the streaks.